Gorgeous hair accessory pearls & rhinestone bow barrette clip super elegant perfect for all occasion. Brilliant clear rhinestone decorated around the pearls will really add some shine & elegance to your hair. Designer quality at reasonable price. 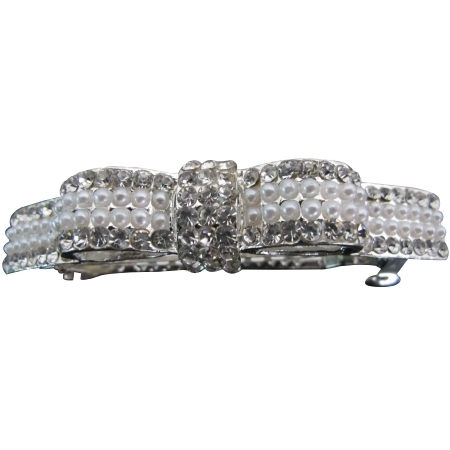 Material Used : Silver metal barrete clip Bow with white pearls & clear rhinestones.